Kathy grew up in Danbury, CT and moved to Arizona in 1988 to attend ASU. After graduating with a Bachelor’s Degree in Communication with a minor in Marketing, she worked in Sales and Marketing for a Pharmaceutical company where she met her husband Jeff. She started her Real Estate career in 2006 when she joined Lucas Real Estate. 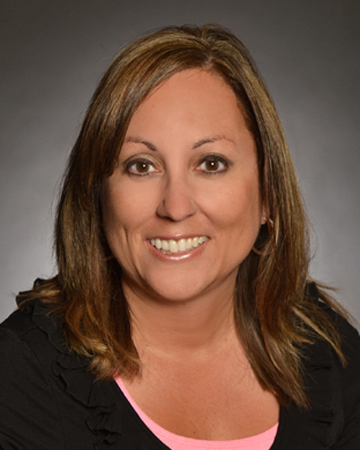 With over 10 years of experience in real estate, Kathy mostly focuses on helping buyers find their forever home. She has the ability to determine buyer’s needs, help them thru the process of obtaining financing with a great loan officer, show properties throughout the valley and manage the escrow process to successfully close on time. She has lived in many cities and has expertise in Glendale, Peoria, Phoenix, Chandler, Gilbert, Tempe, Ahwatukee and Mesa. She enjoys working with first time home buyers, investors, families and buyers relocating to the Valley. Regardless of your price point, she has excellent customer service skills and a go to attitude! She is also capable of listing your home. She can provide you with a free Competitive Market Analysis, offer recommendations for preparing your home to sell, and quickly get your home sold. During her spare time, she is busy with her three daughters- Tatum, Skylar, and Riley. Tatum is wrapping up her last year at ASU. Skylar will be attending Fort Lewis College this Fall on a soccer scholarship. Riley will be attending Corona Del Sol High School next school year. When not selling homes, Kathy can be found on the soccer field, attending PTO meetings and walking her two Yellow Lab Dogs - Corona and Tucker.